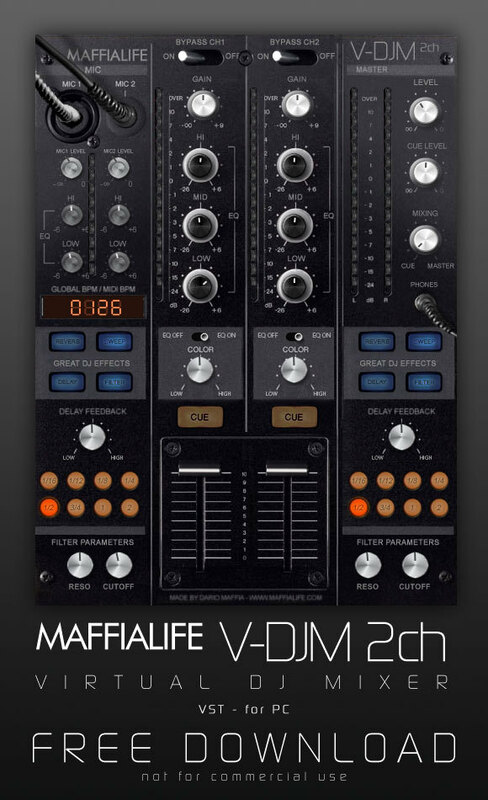 V-DJM 2ch, Other Effect Plug-in from Dario Maffia. 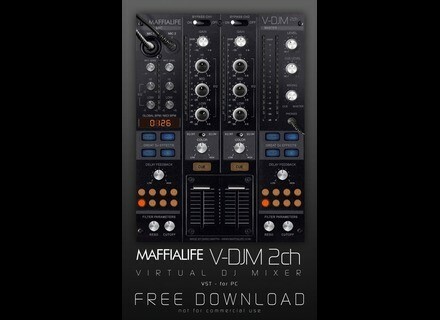 Dario Maffia has announced the release of V-DJM 2ch, a free VST effect 2 channel mixer with DJ functions for Windows. V-DJM 2ch reproduces the features of DJ mixers in any audio host applications that support VST technology (it was designed specifically for Ableton Live). V-DJM is designed to reproduce the "touch" of real mixers with its realistic design designed to give you the sensation of mixing your audio track on a real DJ mixer. It can be used as an internal mixer in your host audio applications with the sound and the feeling of a DJ console. All controls of V-DJM can be MIDI-mapped and automated. eaReckon Updates EAReverb eaReckon has updated EAReverb to version 1.0.1. Cycling'74 Max/MSP 5.1.7 Cycling '74 has updated Max to version 5.1.7. MusicDevelopments RapidComposer v1.44 MusicDevelopments has announced that RapidComposer and RapidComposer LE have been updated to version 1.44.